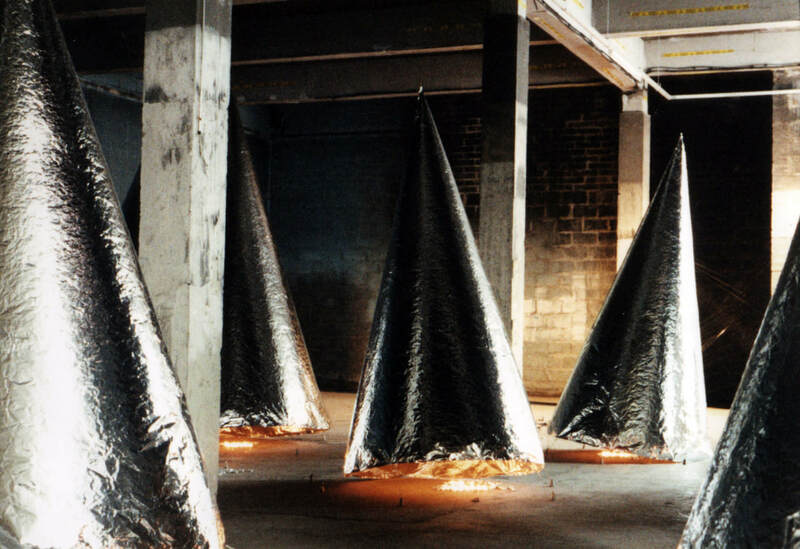 Heat Dependent Forms - VANE2000 from Simon Gregory on Vimeo. 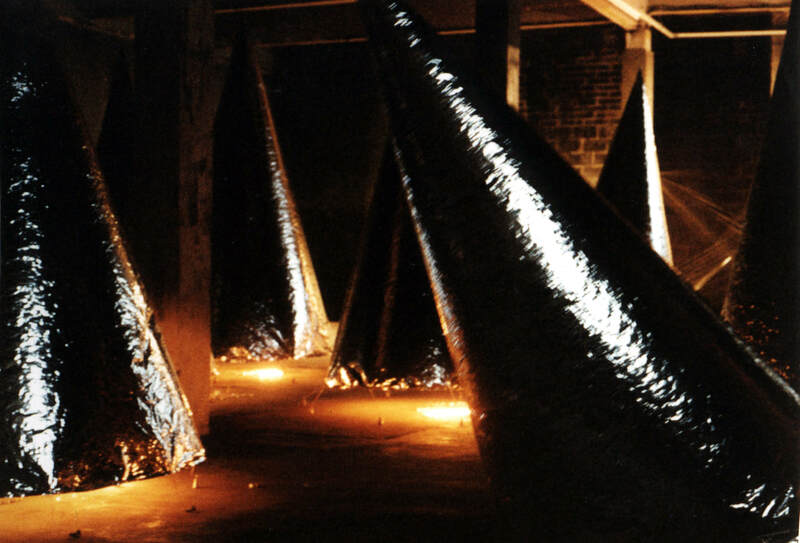 Environmental installation of heat dependent forms, created for VANE 2000 at 51a Lime Street, Ouseburn. 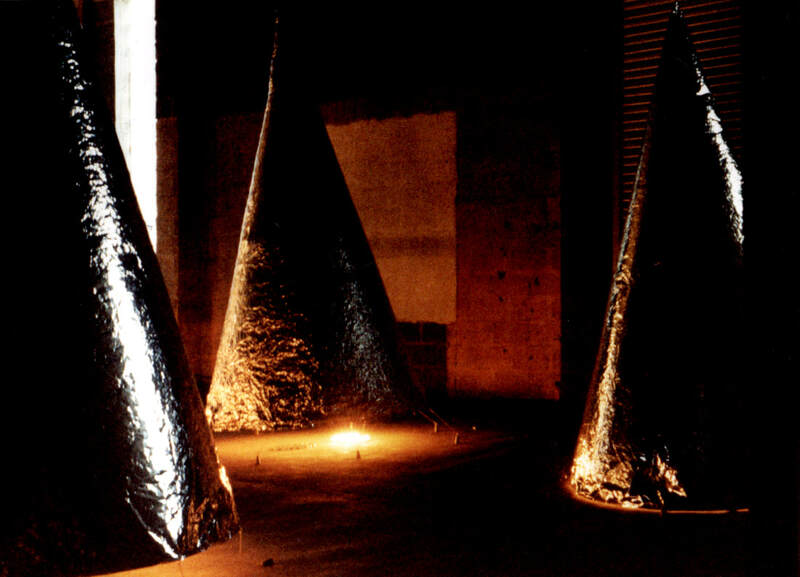 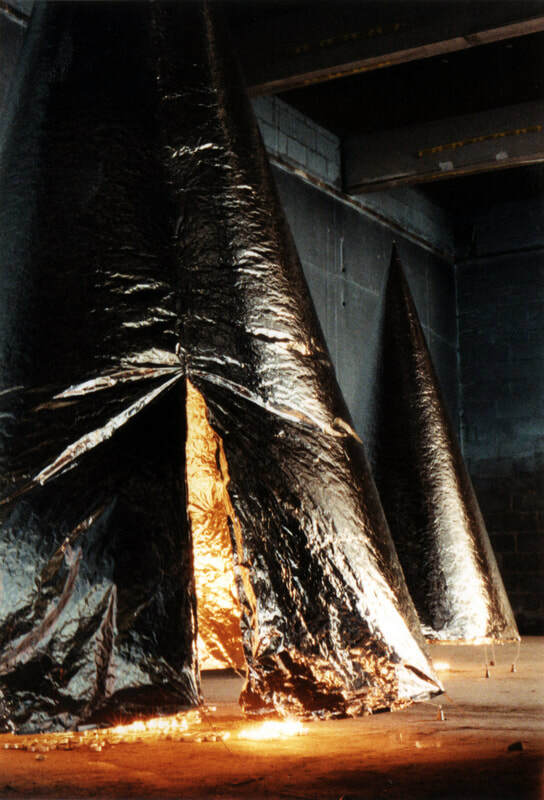 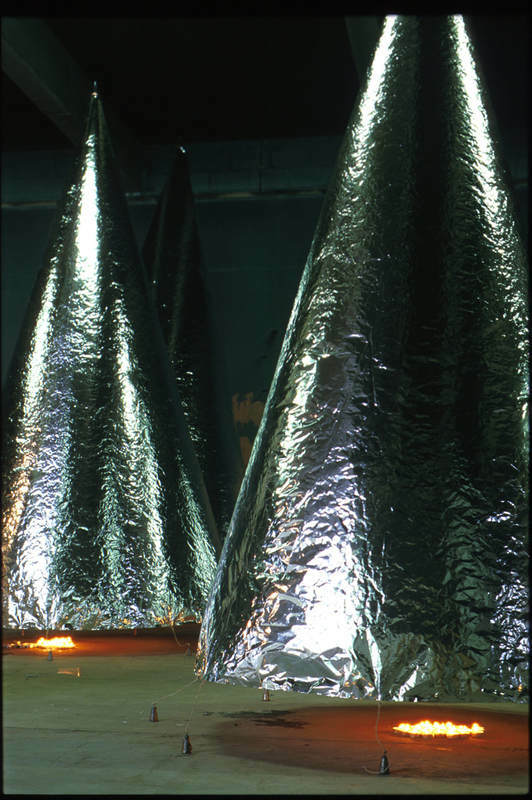 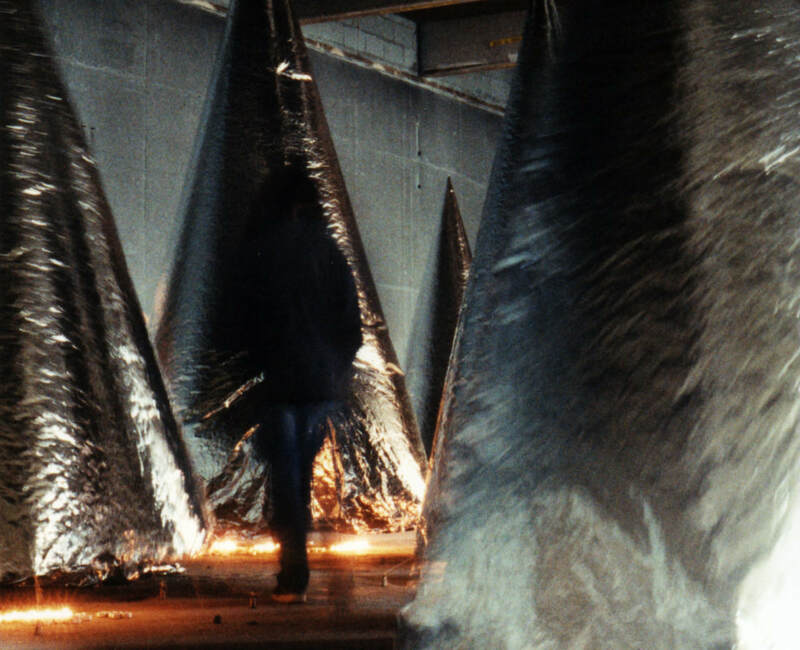 The work consisted of eight conical envelopes, constructed from Aluminised PVC. 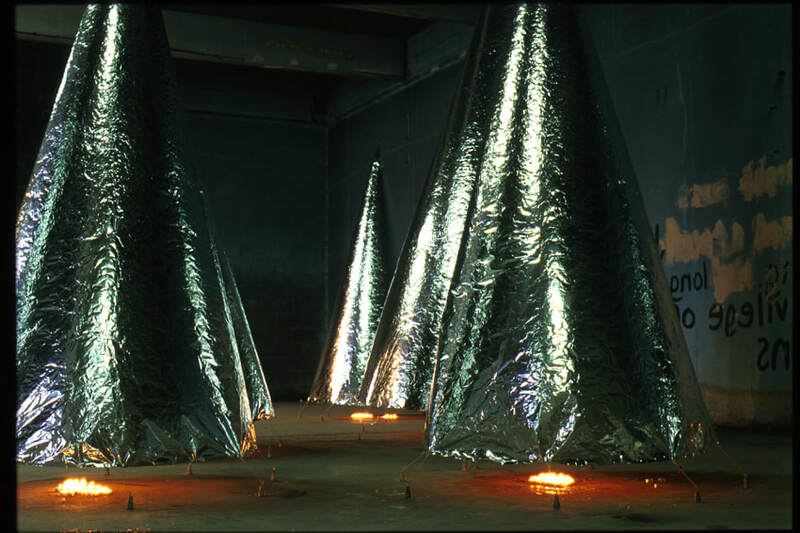 These are weighted at their base with lead and filled with heat generated from candles. 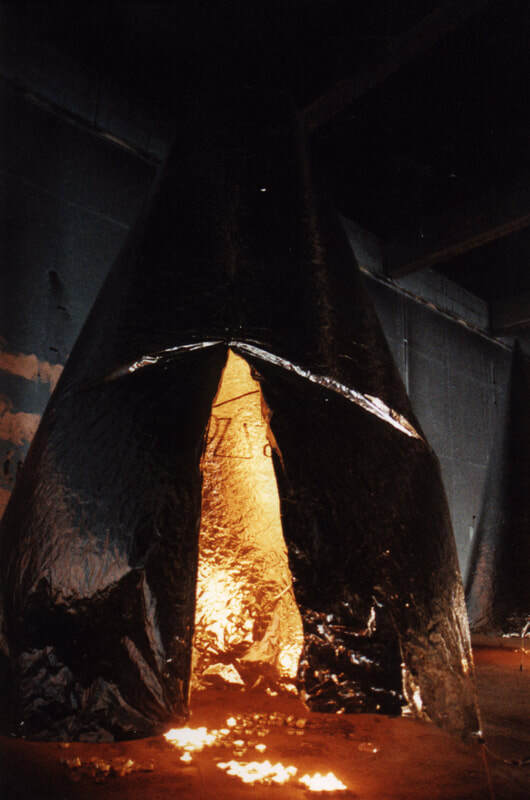 Their lifespan is around 5-6 hours. 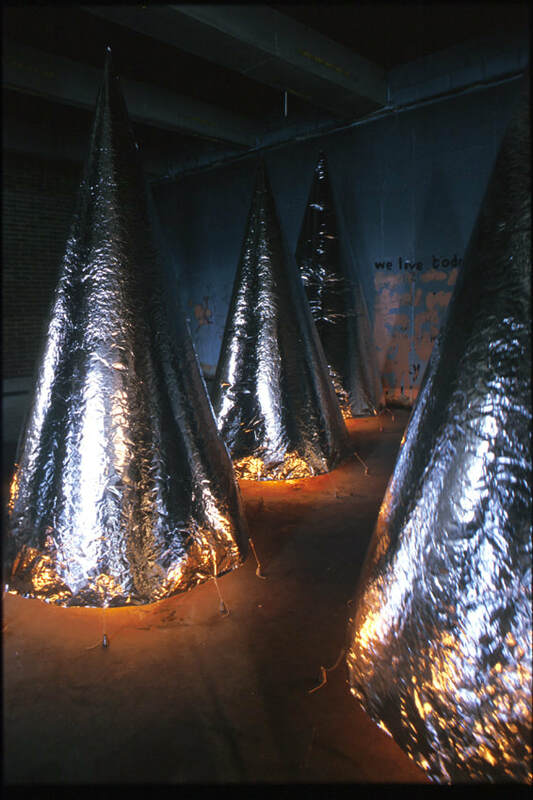 The work was shown for 3 weeks during October 2000.